Download Simpsons Sheet Music. 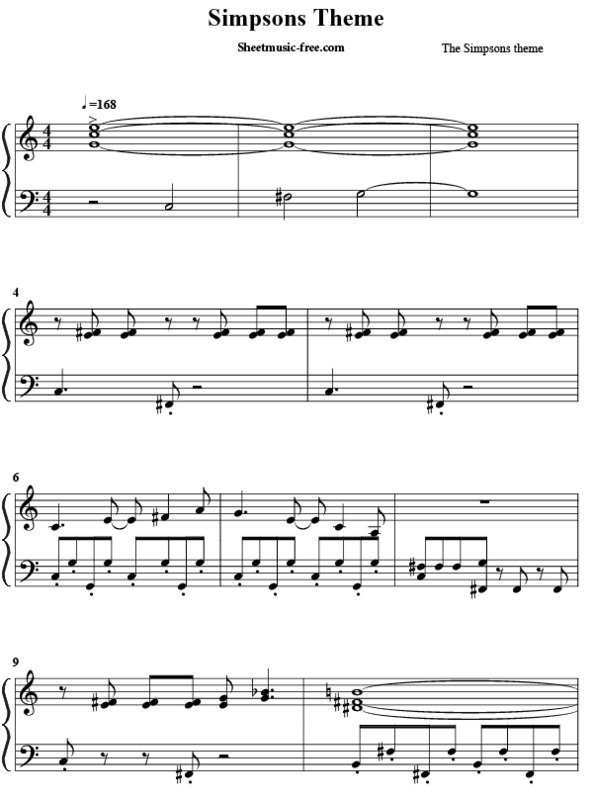 This melody of The Simpsons is the main theme of the TV series or cartoon The Simpsons. Composer Danny Elfman in 1989. Elfman composed the song of The Simpsons in just two days, I was the most outstanding work of his career. At the beginning of the melody, with the first and third note uan augmented fourth, better known as “tritone”, this interval is usually used in heavy metal style is formed. In 2007 the band Green Day performed a version reinterpreting the theme of Los Simpsons Los Simpsons the movie, reaching ranked No. 106 on the Billboard Hot 100. Download Simpsons Sheet Music Simpsons Theme pdf file.